Andreas Meyer – the friendly and charismatic country operations manager of Werra Papier Wernshausen, one of two German tissue sites owned by Sofidel – greets TWM at Stendal station, located an hours drive west of Berlin. We drive on to Arneburg, where the company’s 300,000m2 mill is located alongside the Elbe river. It is, as Meyer adds, “in the middle of no-where”, yet also perfectly placed to serve the substantial demand for tissue products from the neighbouring cities of Berlin, Hanover, Hamburg, and beyond. Meyer oversees at both of Sofidel’s German sites (the other one being the Werra Papier Holding paper mill and converting plant in Wernshausen). Within Europe currently, Sofidel takes the number two position, second only to Essity. And its German sites are key in its European strategy. Established in 2004, the Arneburg plant now has 360 staff and in 2017 reached a paper manufacturing capacity of around 60,000 tonnes. 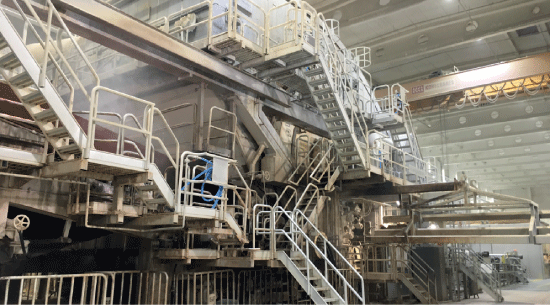 It is home to a 5.6m Metso Paper cast iron Yankee PM which has a design speed of 1.900m. min, and has achieved 2,000m/min. Of the products made on site, 80% are for private label while the remaining 20% is Sofidel’s own brand. Its pulp storage capacity is 15,000 tonnes. 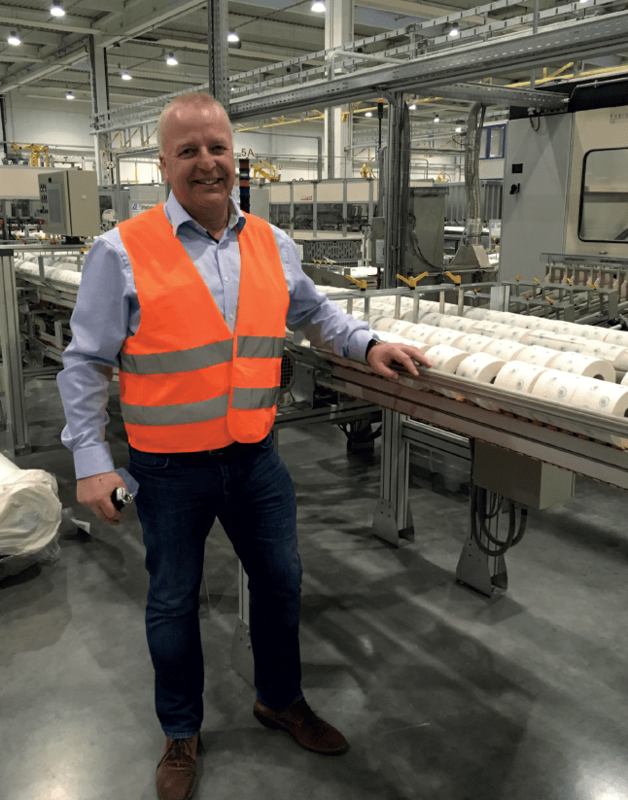 It produces mainly 3 or 4ply, some 5 ply also, all mainly white, and all the “very good quality” products that are in high demand in the German market, and “very different compared to the French market where 1ply is very popular”, Meyer adds. Environment is also key and the site has a range of certifications including: IS0 9001:2000, FSC, PEFC, IFS Household and Personal Care Products, ISO 14001 and 50001, and OSHAS. Turnover in 2017 was €135m and the site exports to key countries including France, Switzerland, Poland and Austria. It also produces products for the Scandinavian market. while the remaining 20% is Sofidel’s own brand products (see page 29). 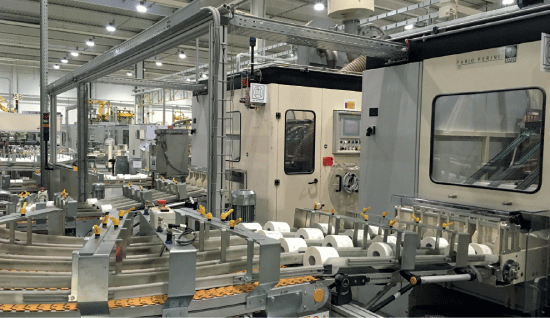 Q&A: Domenico D’Angelo, line of business director – private label, Sofidel Germany. 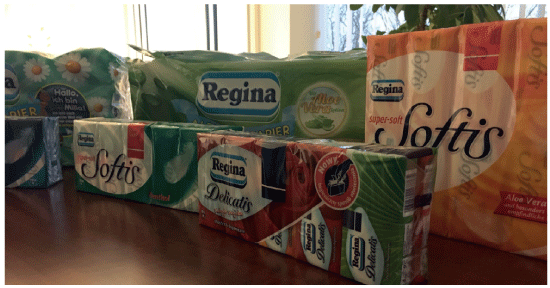 TWM/1: What are the main opportunities for Sofidel in Germany’s tissue markets? TWM/2: What are the main challenges? 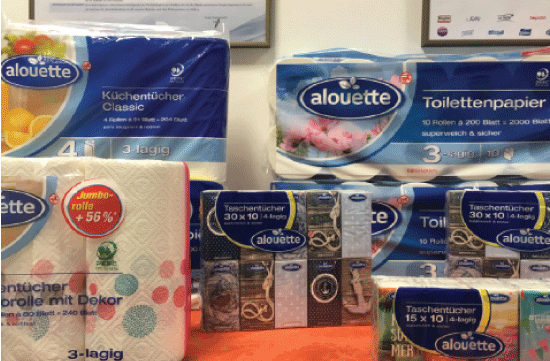 TWM/3: Are you seeing flat demand for tissue products in Germany, how are you dealing with that? TWM/4: Is demand for environmental products increasing, and how are you responding to this? TWM/5: What are the main tissue consumer trends you’re seeing? TWM/6: How have the economic conditions in Germany presented opportunities and challenges for you? TWM/7: How are you aiming to grow in Germany? TWM/8: What tissue trends are you seeing at the moment? Share the post "German consumers are eager for innovation – and are prepared to pay"